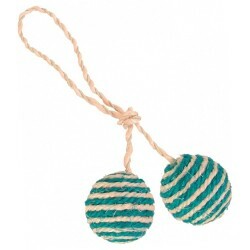 Product Details- Sisal with bell, support claw care. 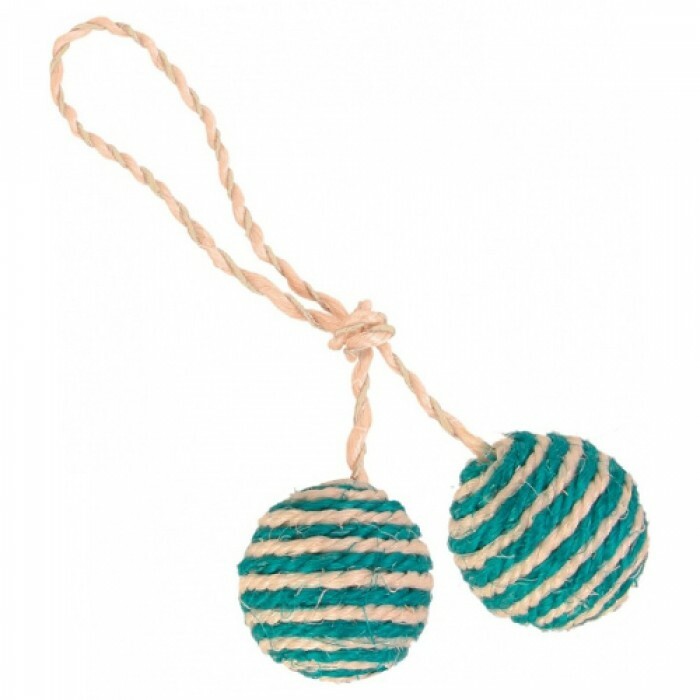 Product Information-Trixie 2 Balls on A Rope with rattle. Promotes playful claw care. Trixie is a German brand specializing in accessories for pets in general, make more comfortable people peacefully coexist with animals in the home. Diameter- 6 cm.